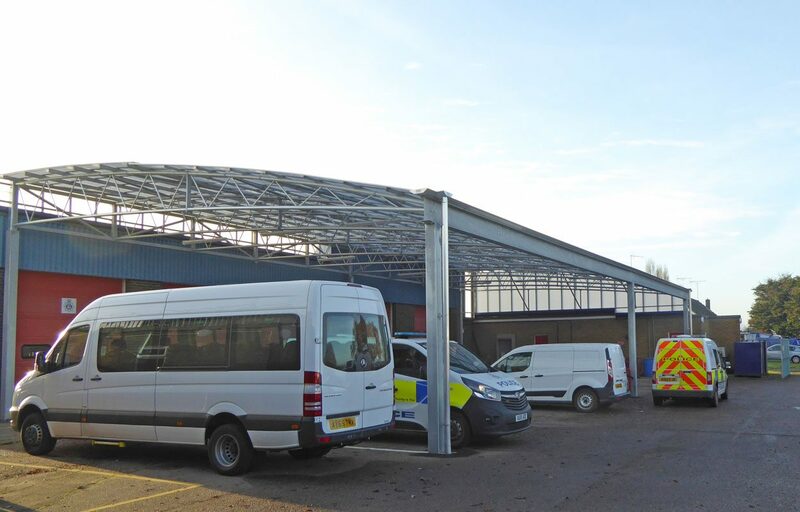 Weather cover for a transport yard. 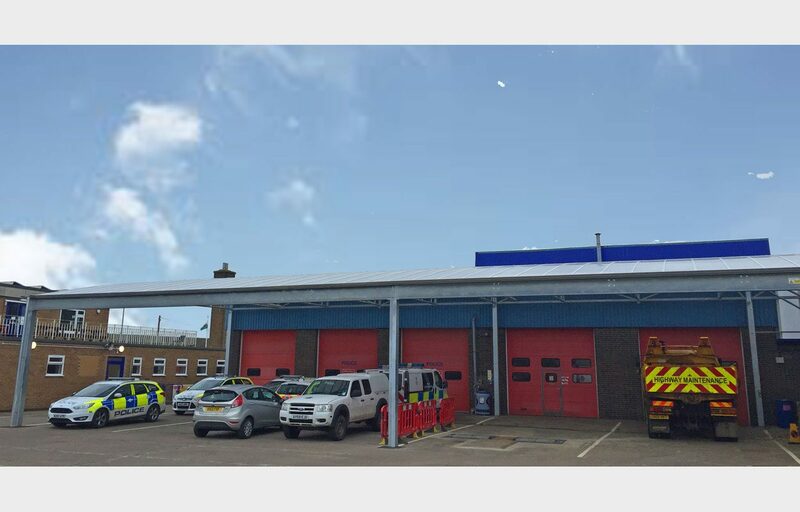 Kings Lynn fire station required weather cover for their transport yard and access to their appliance bay to provide protection from rain and UV rays when using this area. 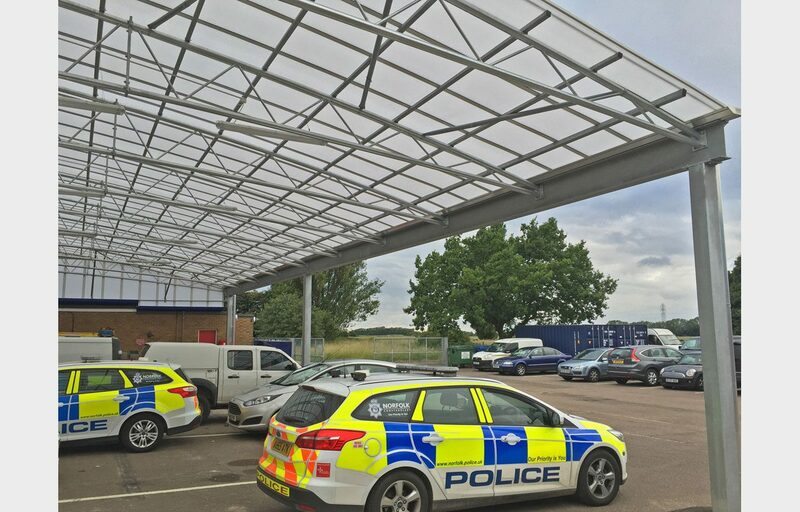 The perfect solution was a functional and durable mono pitch steel taper trellis spanning 25.5m in length and 12.3 meters wide. 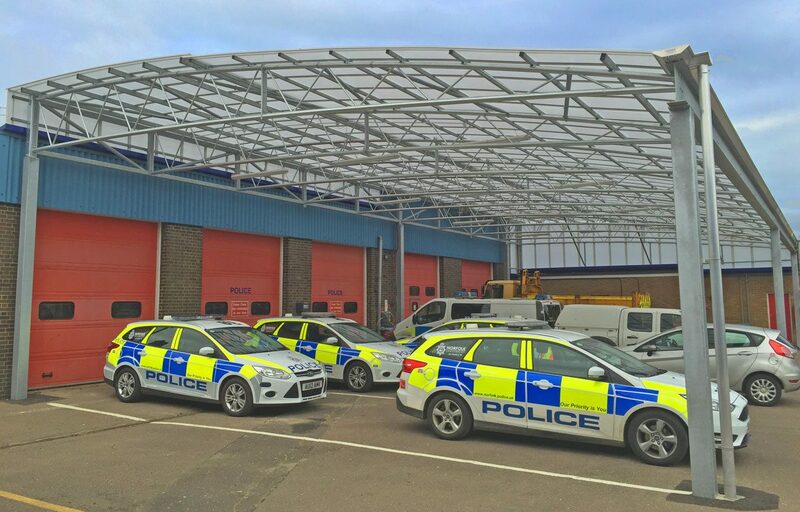 We were able to clear span over 12m in width and length to minimise obstruction to vehicle movement. 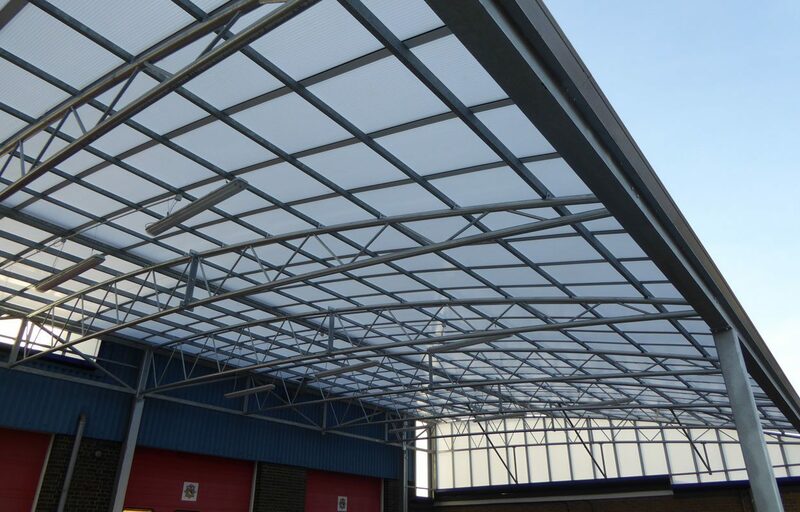 The galvanised steel structure is guaranteed for 25 years and the polycarbonate roof for 10.